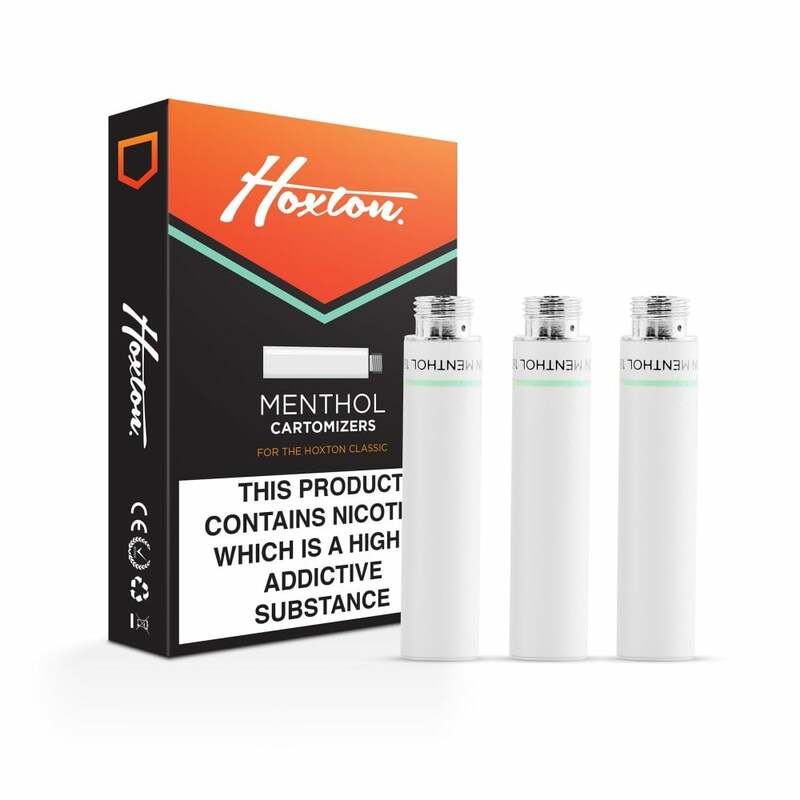 Hoxton Menthol Refills are for use with the Hoxton Classic Kit and Hoxton Classic Battery only. Each cartomizer is pre-filled with 18mg e-liquid, and lasts for roughly 300 puffs - equivalent to a pack or more of cigarettes! Please note: these refills are not compatible with the Hoxton Original or Hoxton Click. I love these carts, out of all the menthol carts I`ve tried these are more like a ciggy. They have a kind of smoky feel on the throat and the menthol isn`t too overpowering like some that are in your face polo tasting, that`s not what I want when i`m trying to stop smoking. LIke the white colour, somewhat more chic than the dull green of the old Gamucci carts and I find they last longer too. On top of that they draw very well without that burning sensation at the back of the throat - Great value for money! I have used this product for 18 months and had no issues at all. Nice minty start, which fades gradually as the cartoniser is used. When it tastes less minty and becomes a little harsh on the throat its time to change. I order these for a friend as she is not computer lierate. She has been satisfied with them, but prefer the real gamucci ones. Battery is a lot less heavy than my previous brand ,but lasts just as long. Refills are smooth and satisfying, I'd recommend. I really like these but find they do not last very long and are a bit expensive. Best tasting menthol refill that I've tried! . Well lasting taste right up until empty. Would definitely recommend the menthol cartomizer refill. A very good replacement for the Gamucci bold menthol cartomizers,good full minty vape. Lovely menthol flavour - will buy from here again. I would like to see the cartomiser come with a cap, much the same as gamucci had. Good replacement for Gamucci discontinued cartomizers,light mint flavour with full vapour. OK but don't seem to last as long as the Gamucci refills. I do like this cartomizer but it is a bit pricey when not on offer. It doesn't come with the protection cap which I think prevents leakage. Needed something that had the similar smoothness of taste to Gamucci Menthol 1.6 without the sharpness of Motives. Hoxton 1.8 works and it is cheaper!